The 2018-2019 DC Illini Board is still in need of a few more people for Board and non-Board positions! Are you interested in meeting fellow alumni in the DC area? 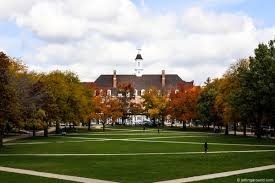 Do you still reminisce about all the great times you had at U of I? Do you want to get more involved in the community? Then you should consider becoming more involved with the Illinois Alumni Club of Greater Washington DC! Membership Director: We are looking for someone to serve on the DC Illini Board as the Membership Director. This person would lead the membership initiatives of the DC Illini, which include retention of current members and reaching out to alumni in the area who are not currently members of the DC Illini. This person would lead our membership committee in these and any other membership-related efforts as determined by the Membership Director and membership committee. Committee Members: We are also looking for people to serve on one of our committees. Committee member positions are non-DC Illini Board positions. More information and a list of committees can be found here. We understand how busy schedules can be and value any amount of time our members are willing to donate. If you're interested or have any questions please contact the DC Illini President.